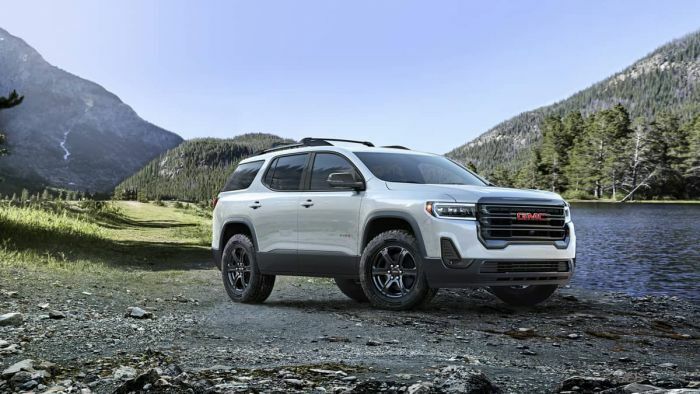 GMC is giving the 2020 Acadia a bolder look, even giving the SUV an all-new AT4 trim package. The result is a more rugged-looking crossover. Gone are the old days when the Buick Enclave, Chevy Traverse and the GMC Acadia all looked a lot alike. GMC is taking the 2020 GMC Acadia in a much bolder direction. The refreshed GMC Acadia looks more like the GMC Sierra than ever before. The 2020 GMC Acadia even gets a new aggressive looking AT4 trim package.